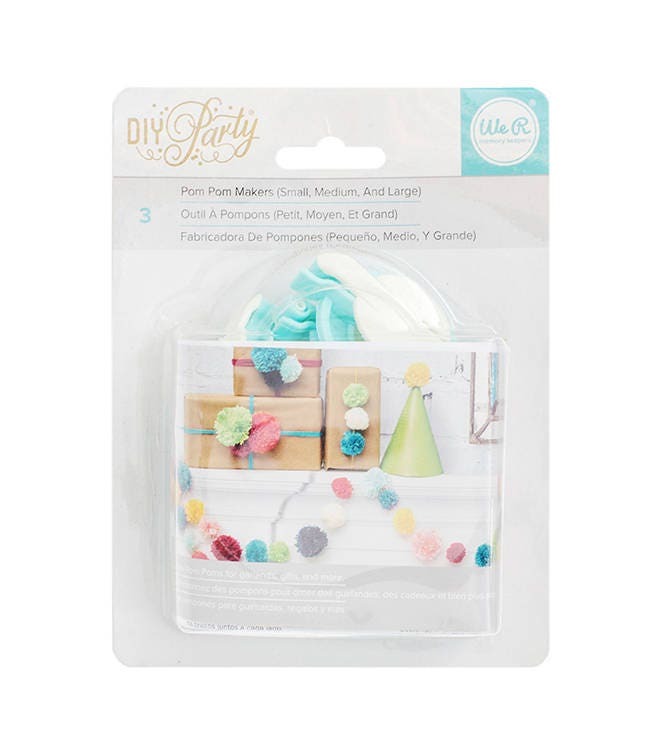 Use this Pom Pom Maker to create party decor, gifts, banners, garland and so many other craft projects! This kit comes in three sizes. This 6-1/2x5x1-1/2 inch package contains one large pom pom maker, one medium pom pom maker and one small pom pom maker.